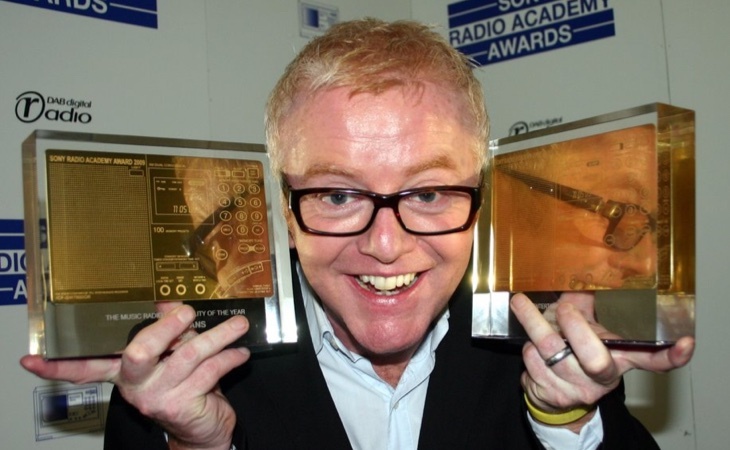 Chris Evans is returning to the Virgin Radio brand after announcing he’s leaving BBC Radio 2 before the end of the year. He previously hosted the breakfast show on Virgin Radio from 1997-2001. Virgin currently has 413,000 listeners compared with BBC Radio 2’s 15 million – and the Wireless-owned station is only available on digital radio. Chris announced on-air this morning that he is leaving BBC Radio 2 after 13 years, and eight years on breakfast. He replaced Terry Wogan in January 2010 and his last show at the Beeb will be December 21st 2018. Pretty sure Virgin is owned by racist Rupert Murdoch isn’t it? Nice that he has the option to go back to a station. Far more than everyone lose in Radio. Utter madness, history repeating itself, next thing you know he’ll want to buy Virgin again and he’ll run it into the ground. Keep this man away, he’s dangerous! If nothing else it should boost the sales of DAB radio’s to well over 50%. Chris Evans on Virgin Radio. Well, I never! At least he didn’t go to United DJs. And so what if he wants to buy it? I don’t think Murdoch will sell it to him. I think this scuppers any hope of a russ and jono reunion on virgin. They’re not best of friends with Chris. Thank ye gods, can’t stand Russ Williams at all, used to turn off Absolute during lunch to avoid his ranting and rambling, very glad when Leona Graham took over…. I think we all know the replacement will be a female as the breakfast show has had an all male run so far. Even more excellent news. You can’t get Virgin Radio on an actual radio so no danger of catching him by mistake! A bit of backwards step for Chris, who is obviously only going for the money and the relationship with Murdoch, but it shows the ambition of News Corp for their Wireless assets. Nevertheless, as the Chris Moyles/Radio X experiment has demonstrated, it might not be entirely massive for either party. And of course it is not even the same Virgin Radio he used to be with. Alan, I honestly believe DAB/DAB+ will be superseded by 5G technology in the 2020s! Even from a broadcaster’s perspective, why pay for an audio only transmission network, when it can be carried on (soon to exist) 5G infrastructure, shared with other services? I now live in an area of Dumfries & Galloway where tuning to existing 4G is a near must for a great variety of choice of digital radio! The obvious downside to current 4G is using modest personal data allowance to listen to digital radio, but it is well worth it when DAB choice is limited! The cottage where I live, required a wireless broadband solution for internet services because my home is sited too far away for fibre optic services! Even so, most of my radio listening in home or the car is received over 4G. I can now jump into my car and listen to a digital version of Radio Tirana’s English service from Albania! Digital radio at its best..
Good old Chris Smith. Whoever he is! Just think of all the money the BBC can save by not paying him £1.6million a year, just by giving the gig to a woman who would do the job for considerably less. Especially given that the BBC are desperate to pander to the P.C. brigade. By the way, I think its going to be Claudia Winkleman that’ll get it given that she’s one of the highest paid women. God help us if you are right.